After a year of hiatus, and a digital rebirth, Dogwood returns this year with a brand new issue, a brand new student staff, and a brand new editor, Sonya Huber. While the hiatus provided opportunity to develop a new ongoing history for Dogwood, the traditional aspects that its readers have come to know have not changed. From poetic interpretations of a game of Scrabble, to an insight of life with a firearms fanatic, this year’s issue of Dogwood travels the expanses of creativity and inspiration in poetry, fiction, and creative non-fiction. 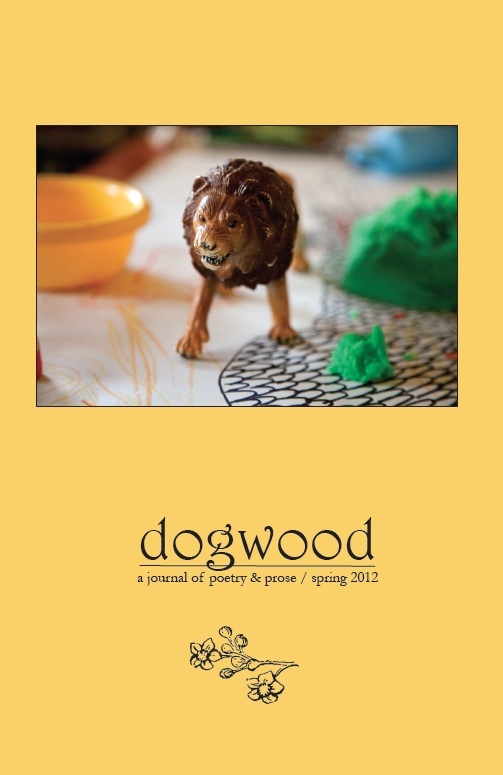 While the contest winners received their due praise, all submissions in the current issue of Dogwood prove quite entertaining and poignant. The process of judging the blind-submission finalists was not an easy one since there were so many outstanding entries. After hours of reading, re-reading, and careful deliberation, the winners were finally chosen. The First Prize in Poetry went to Maya Jewell Zeller for “Playing Scrabble with Steve and Crystal.” Judge Riegel determined that “The layers of imagery, the loving attention to the fresh and apt word choice, and the sheer flat-out gallop of these enjambed lines reflecting ‘a riot of muscle and light,’ [and] the subject of the poem, made it irresistible.” The decision was not without competition though, and Riegel chose “On Refusing to Press Charges” by Rob Jacques as an Honorable Mention. Finally, the First Prize in Fiction went to Nick Scorza for “Love Stories.” Judge Sukrungruang also read in this category and stated, “…there is an inherent danger of writing a literary love story, one a good writer needs to take into account. This writer does just that. This writer knows that line between drama and melodrama, knows that a good love story is not about what happens, but the internal motivations of character.” Fiction also provided some remarkably difficult judging decisions and Sukrungruang also expressed his admiration for the Honorable Mention “The Delivery” by Gary Smothers. Katherine Riegel‘s poems and essays have appeared in numerous journals, including Crazyhorse, the Cream City Review, and Terrain.org. She is co-founder and poetry editor for the independent online journal Sweet: A Literary Confection. She teaches at the University of South Florida and lives in Brandon. Ira Sukrungruang is the author of Talk Thai: The Adventures of Buddhist Boy. His work has appeared in many literary journals, including North American Review, Creative Nonfiction, and The Sun. He teaches in the MFA program at the University of South Florida. Flynn Larsen is a photographer based in Beacon, New York. Born and raised in New York City, she studied English Literature at Carleton College in Northfield, Minnesota, and then photography at Art Center College of Design, in Pasadena, California before starting her photography career in 2000. Flynn’s work is inspired by the fabric and feeling of everyday life—how the light falls on the kitchen table, the way her daughter scampers across the yard at dusk, the natural beauty and arrangement of the things we use every day lying about the house. Commercial projects include work for advertising firms, corporations, colleges and universities, and magazines, as well as families and individuals. Flynn is also currently working on a book of portraits and writing in collaboration with her father called An Autobiography of an Apartment House, as well as developing body of still life work called Nature Morte (which include the lion and pear images on the cover).